It’s fall and that means it is soup weather! 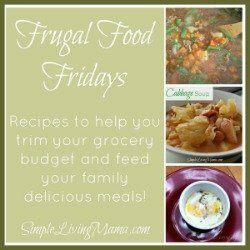 Soups are one of my favorite things to make because they are easy, yummy, and frugal. You can whip up a big batch of soup and stretch it out over a few days. My oldest son’s favorite vegetable is broccoli, so we enjoy making broccoli cheddar soup when the outside temp starts to dip. Broccoli cheddar soup is an incredibly frugal meal. This particular soup is also very creamy and filling! I typically make this soup with only onion and broccoli, but I happened to have a frozen bag of seasoning mix, which includes onion, celery, and bell pepper. I sauteed that instead of just a diced onion and I think it gave this soup a great kick of flavor! That’s another great thing about soups. You can add or leave out ingredients to give the soup a different flavor that suits your family. My kids are big helpers in the kitchen. They love to help me measure out ingredients and add them to the pot! Since I used only frozen veggies for this soup, there was no chopping involved and the kids got to help pour all the veggies in. Broccoli cheddar soup goes great with my homemade white bread recipe. Just sayin! Go ahead and get your soup pot ready! This recipe is so simple to start simmering! 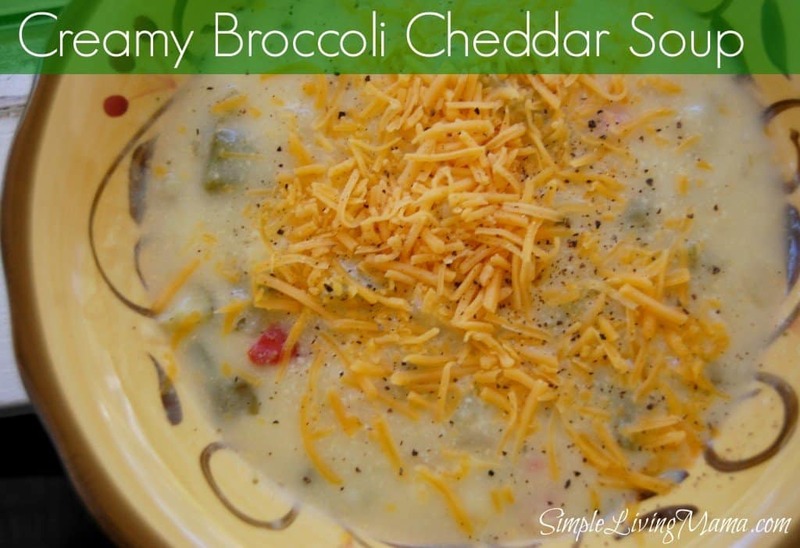 A creamy broccoli cheddar soup. Perfect for a crisp fall day! Heat olive oil in soup pot on medium heat. Add frozen seasoning blend (or diced onion) to olive oil and saute. Add chicken broth and frozen broccoli to pot. Meanwhile, whisk flour into milk. Turn the heat down to a simmer and whisk in flour/milk mixture. Allow mixture to thicken, if it does not thicken to your liking add more flour/milk mixture. Stir in grated cheese and allow to melt into soup. Soup can simmer as long as one hour to let the flavors develop. Periodically stir the soup during this time.